Jesus M. asks: Is there any real cheese in cheese whiz? 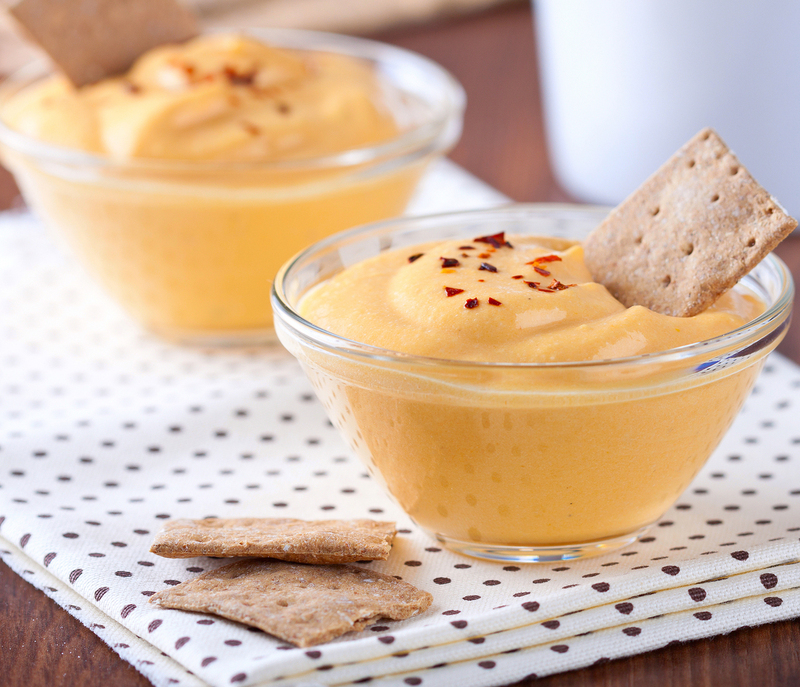 As America gets ready for their upcoming Super Bowl parties (or Royal Rumble party, if that’s your thing), Cheez Whiz – the yellowish-orange, gooey, bland tasting “cheese” product – will surely make an appearance at some of them. But what is Cheez Whiz? Why did get it invented? And is there really cheese in Cheez Whiz? Why he chose Buffalo (well over two hundred miles from his home in Ontario) over Detroit (under fifty miles away from Stevenson) isn’t known. In fact, there seems to be no real record at all of why Kraft went to Buffalo. But most important to this story, while there, he eventually invested in a small cheese company. He quickly rose up through the company and was invited to move to Chicago to run the cheese company’s branch there. After moving to Chicago, the company either went under or the heads of the company pushed Kraft out (records are conflicting as to what exactly happened there). Either way, Kraft was left stranded in Chicago, reportedly with little money (perhaps lending credence to the “went under” theory) and no job. Using his meager remaining funds, he bought a horse (named Paddy) and a carriage. For the next few months before dawn every day, he would take Paddy and the carriage down to the wholesale market on Chicago’s Water Street and buy blocks of cheese in bulk. He would then sell it to the shop owners around town at marked up prices. His reasoning was that he was doing the hard part for them- finding and buying the cheese and then bringing it directly to the shop owners- and that was worth the markup. He was right. Within five years, Kraft’s business was successful enough that four of his brothers from Canada were able to come to Chicago and help James build his new cheese company. By 1914, they had incorporated as J.L. Kraft & Bros Company. That same year, they opened their first cheese factory in Stockton, Illinois. The next year, in 1915, they changed the cheese game. It goes on to explain the process of slicing, heating, and stirring cheddar cheese in great detail, how it needed to be heated to 175 degrees Fahrenheit for 15 minutes while being whisked continuously. The patent never mentions the addition of a sodium additive or “emulsifiers” (be it sodium citrate like the Swiss or a more general sodium phosphate). This likely is due to the fact that patents are, of course, public and whatever Kraft added to the mix, he probably wanted to keep it a secret from the competition, a fairly common practice in the food industry. This was the birth of commercialized processed cheese. Kraft’s revolutionary new cheese product couldn’t have come at a better time for him, at least business-wise. When the United States entered World War I in 1917, there was a need for food products that would last and could be shipped long distances. By packing his cheese into 3-1/2 and 7-3/4 ounce tins, Kraft was able to become the cheese supplier to the US Army, earning himself a huge payday and a whole generation of soldiers trying out his cheese. It was around this time that Kraft Cheese was doing great business in Britain, thanks to having sent processed cheese off to World War II with the allied soldiers. This bring us to a popular English dish called Welsh rarebit, which is basically a hot, melted cheddar cheese sauce poured over toasted bread – think an open-faced grilled cheese. While delicious, the cheese sauce is actually rather labor-intensive to make, requiring much time and careful stirring. Kraft, trying to appease their British customers, asked their team of food scientists led by Edwin Traisman (who would later help McDonald’s flash fry their french fries) to come up with a faster alternative for this cheese sauce. After a year and half of experimentation, they did. Cheez Whiz was introduced in Britain in 1952, and soon after across the United States. However, in 2001, he settled down for a “civilized” evening of one of his favorite snacks- crackers, martini, and Cheez Whiz that he had purchased from the store that day. Upon spreading the Whiz onto a cracker and taking a bite, he said he exclaimed to his wife, “My God, this tastes like axle grease!” Something had radically changed in this jar of Cheez Whiz from the last he had purchased. Indeed, when he looked at the ingredients list, he saw as you’ll still see today- Cheez Whiz sold in the United States does not explicitly list cheese in the ingredients anymore. Rather, if you look, you’ll see 27 other ingredients, including whey (a protein byproduct of milk, the liquid left after the milk has been curdled and strained), corn syrup, and milk protein concentrate (a cheaper alternative to higher-priced powdered milk). When Moss and Southworth approached a Kraft spokeswoman about this in 2013, she told them there was actually still cheese in the Whiz, though much less than there was before. When asked just how much real cheese was still included in the product, she declined to comment. @Jake Lakota: I’m a huge cheese fan of all types (and probably eat way too much of it to be honest), but I think the saving grace of Kraft singles is how they melt. I can’t really stomach things like steamed broccoli without it. And, of course, the classic English muffin + single egg + bacon needs the melty Kraft single to be complete. I’ve tried many other cheeses to substitute on those, but for my pallet, just isn’t nearly as good with the substitutes. In non-melting scenarios, I’ll take real cheese any day. What do you mean is not cheese? I am sure it may have some application in fracking or rocket fuel making, but it’s cannot possibly be edible. My generation enjoyed Cheese Whiz b/c it contained a lot of cheese back in the day and had a delicious flavor as well. Today’s product has no taste other than sugar and salt. Garbage. Without cheddar it is nothing. Too bad Kraft became so greedy and decided to eliminate the main ingredient. It should be called Whey Whiz now. Welsh Rarebit is Welsh and not English (the clue being in the name). Yes but how much whiz is in it? My google search led me here.